The Lake St. Clair Guide Directory provides services for boat cleaning, detailing, bottom painting, & repairs around Lake St. Clair – Macomb, Wayne, St. Clair County Michigan, and Ontario Canada. 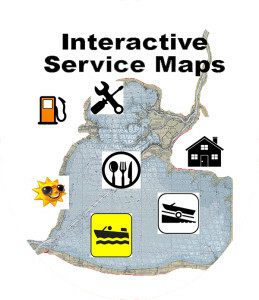 or click here for an interactive map of boat cleaning detailing, bottom painting around Lake St. Clair near you. Emerald City Harbor is a full service marina! We also offer new & pre-enjoyed Formula boat sales, gas fuel dock with pump out, and parts store on Lake St. Clair in Macomb County.